A great memory and quick recall will improve many aspects of your daily life. Ultra Memory is for everyone; business professional, students, professional speakers, parents, children and more. Ultra Memory will teach you important techniques to improve your memory and give you specific examples to apply those techniques. A better memory can make you a more compelling speaker, a better student, it can help further life goals, help you succeed in careers and business and it can help you connect more with others around you. 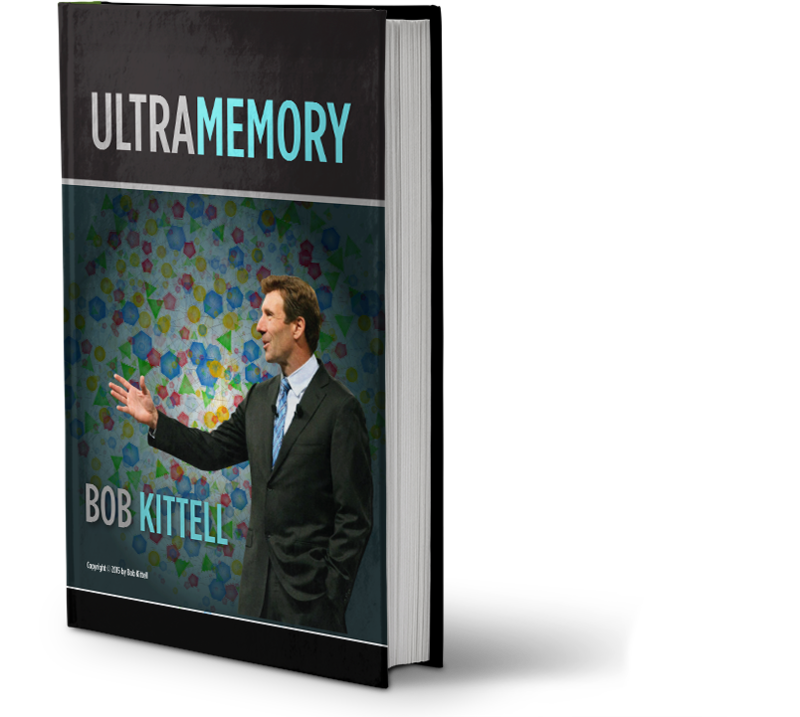 Access Bob's memory techniques taught in his Ultra Memory course. Learn to memorize quotes, long numbers, multiple choice answers, anatomy, historic dates, lists, and more. Enrich your vocabulary with 150 great new words. Enhance your vocabulary – enhance your success. Power up your presentations and your life with 100 brilliant quotations at your mental fingertips. You saw Bob remember these on stage! Have you seen Bob's One Minute with Bob series of videos?What are you waiting for? Contact Bob Today! or Check out Bob’s Calendar and Book Bob Today!